Fully-collateralized sources of reinsurance and insurance-linked securities (ILS) capacity continued to penetrate the global reinsurance market at the January 1st renewals as cedents increasingly add third-party capital to their reinsurance programs, according to broker Willis Re. The ILS and collateralized reinsurance market made some new headway into reinsurance markets at 1/1, according to Willis Re’s 1st View, its latest market report. As well as broadening its reach into new regions of the world, ILS capacity has also strengthened its position in U.S. property catastrophe renewals, with most national accounts now including an element of collateralized coverage. With reinsurance rates having fallen for almost three years now, the January 1st 2015 reinsurance renewals did not provide a respite, Willis Re says in the report. Insurers in need of protection and those buying retrocession are again the ones to benefit. “Yet again, buyers have held sway, driving prices down along with improved terms and conditions,” the report explains. With losses once again coming in well below average in 2014, reinsurance company results have been “flattered”, Willis Re says, driving their retained capital upwards and resulting in excess pressure on pricing. The addition of a growing pool of alternative capital from ILS and specialist investors exacerbates the rate issue, pushing pricing down even further. The tiering of the reinsurance market has become even more apparent at the January renewal. Cedents are looking for “wider, cross-class relationships” which they believe will prove more sustainable over time, Willis Re says. However despite this ILS players continue to gain market-share, showing that size is clearly not everything in a market currently partly driven by capital efficiency. The ILS players remain largely focused on short-tail natural catastrophe risks, but with some initiatives looking to expand outside of this into new classes of business. Willis Re also notes evidence of “market changing structures”, such as those allowing primary insurers to directly access the capital markets, bypassing traditional reinsurance capacity entirely, through a sidecar type arrangement. This is a trend that Artemis expects to become even more prevalent in 2015, as large primary insurers find they can leverage lower-cost ILS capital directly through the use of captive or sidecar type structures which are fully-collateralized using third-party investors capital. As primary insurers become increasingly aware of the best, or most efficient, capital to cede their risks to and the best structures to achieve that, the traditional reinsurance market could come under even more pressure. This is one of the trends that has the potential to drive significant change through the reinsurance market in 2015 and beyond. Adding to the problems for reinsurers is the fact that pricing of some lines of business is getting closer to, or even falling beneath, the cost-of-capital that a traditional reinsurance business model requires. With ILS players also discovering where their cost-of-capital lies and other efficient business models, such as primary insurer sidecars, able to undercut the traditional reinsurer model the threat to traditional players could worsen in 2015. The continued supply of capital and a lack of demand can only lead to further price declines, Willis Re says. That is a very good point. The need for secondary trading, particularly in catastrophe risk, could put some of this excess capital to good work while also providing further opportunities for hedging and speculators. Developments to achieve this type of liquidity in reinsurance risks would be welcomed by players from both the traditional and alternative sides of the market at this time. In the challenging reinsurance market environment ILS players and collateralized, third-party capital backed vehicles continue to make progress, taking market-share and penetrating new lines of reinsurance business and new regions of the world, the report shows. Examples of this include, ILS markets making their first real entry into some targeted reinsurance programs in France. In the UK ILS markets have become more visible at renewals, Willis Re says, but still struggle to make significant headway against global reinsurers. The report also notes that there has been interest from ILS funds in personal accident and life catastrophe risks, although this remains limited. In the U.S. property reinsurance market the gaining of market-share by ILS players continues. Willis Re says that most national accounts now collateralized reinsurers, sidecars, or managed ILS funds and other non-traditional vehicles, alongside their traditional reinsurers. Cedents are building diversified panels of risk capital from all sectors of the market. At the same time as ILS capital makes continued headway into new markets, the acceptance of non-standard covers is also growing, an area where ILS can be particularly strong. Aggregate protection, shared-limit covers are becoming more widely accepted in the U.S., while in the UK there is a greater understanding of the use of self-reinsurance vehicles. 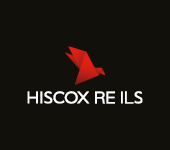 Overall, property rates have declined some -10% to -15% on loss free U.S. accounts, around -15% in the UK, -10% to -20% in France, -2.5% to -10% in Germany, -10% to -15% Europe wide, up to as much as -25% on some catastrophe free Chinese accounts. Loss free casualty accounts are also largely down -5% to as much as -20% in some lines and regions. Capacity for casualty reinsurance is abundant and competition growing as more reinsurers target the casualty market, Willis Re says. Despite this cedents remain discerning about their counterparts, favouring larger players as they appreciate the longer-tailed risk. There is no indication of any slowdown in interest in reinsurance and catastrophe risks as an asset class from capital market investors, Willis Re continues. Despite falling returns investors remain attracted to the low-correlation benefits of investments in ILS and reinsurance as an asset class. Willis Re notes that discipline does remain evident in the reinsurance market and that not all reinsurers have been prepared to chase pricing downwards or accept broader terms and conditions. This is particularly evident in natural catastrophe risks, the broker notes, where placements with thin margins have seen some reinsurers decline offered terms. At the same time some buyers have actually signed on above market terms as a way to maintain relationships with their preferred, larger carriers. As a result of the continued pressure the reinsurance market is being reshaped, Willis Re’s report concludes. Business models no longer look attractive when they are most exposed to the pricing pressure, or directly in competition with ILS or collateralized capacity. For many reinsurers, the only sustainable course of action is change. Hesitation could be fatal for reinsurers right now. Carrying on regardless and pretending that the status-quo in the reinsurance market has not changed is no longer an option. The need for innovation, efficiency, strong leadership and product development is clear as reinsurers continue to navigate this challenging market. – Reinsurance rates decline at Jan 1, change the only sustainable course. You can download the full report from Willis Re here in PDF format.